The Pedrito Martinez Group, a Cuban jazz quartet, is leaving its nest of New York City to explore the country on tour. Flavors from around the world are always a theme for Minnesota State University Moorhead’s performing arts series, and this final show of the season may just be the spiciest. Slated for Thursday night, New York City’s Pedrito Martinez Group brings the sounds of Cuban jazz to MSUM’s Cheryl Nelson Lossett Performing Arts Series. A sellout group in NYC, the quartet’s booming popularity has led them to explore the country for other venues. 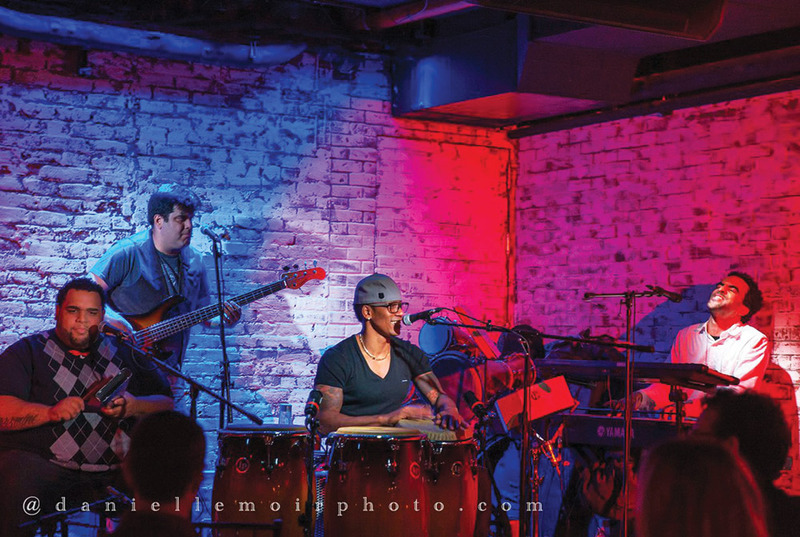 Starring lead singer and percussionist Pedro “Pedrito” Martinez bolstered by a bassist, drummer and pianist/trumpeter, the group’s music is hot and fast, bringing audiences to their feet in performances called “just staggering” by the New York Times. Staged in the 850-seat Hansen Theatre, the Pedrito Martinez Group is a larger show that has called for MSUM to rent specialty drums and equipment from Los Angeles for the performance. MSUM percussion professor Kenyon Williams brought the group to Sundet-Schoenwald’s attention after seeing them in New York. Having “(blown) the roof off the place,” Williams highly recommended Martinez’s quartet for an arts series that promotes artistic and cultural diversity in its performances. For its genre, the Pedrito Martinez Group is a class act, and Sundet-Schoenwald agrees. With the midpoint of winter behind Fargo-Moorhead, the chance to hear some sweet and spicy tunes laid down by a band who does it best is an opportunity that’s hard to pass up. Winter’s been cold, but the Pedrito Martinez Group is hot.